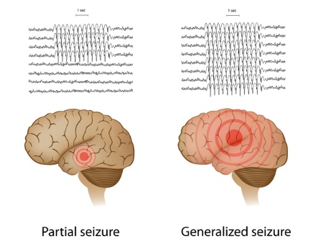 A Grand Mal seizure, described as a loss of consciousness and violent muscle contractions, is caused by abnormal electrical activity throughout the brain. Epilepsy is the cause of most Grand Mal seizures; but not always. Medical conditions such as extremely low blood sugar, high fever and sleep deprivation can cause a seizure. At our office we utilize best-in-care practices. In addition to anti-seizure medication, the Vagus Nerve Stimulator (VNS) helps to prevent and shorten a seizure. It is also used to treat seizure clusters and associated auras. This small device is implanted under the skin like a pacemaker near the collarbone. The VNS device emits a mild impulse of electrical energy to the brain by way of the vagus nerve. VNS therapy can prevent or shorten a seizure. Dr. Lisa McGuire, board-certified Pediatric Neurologist talks about epilepsy.